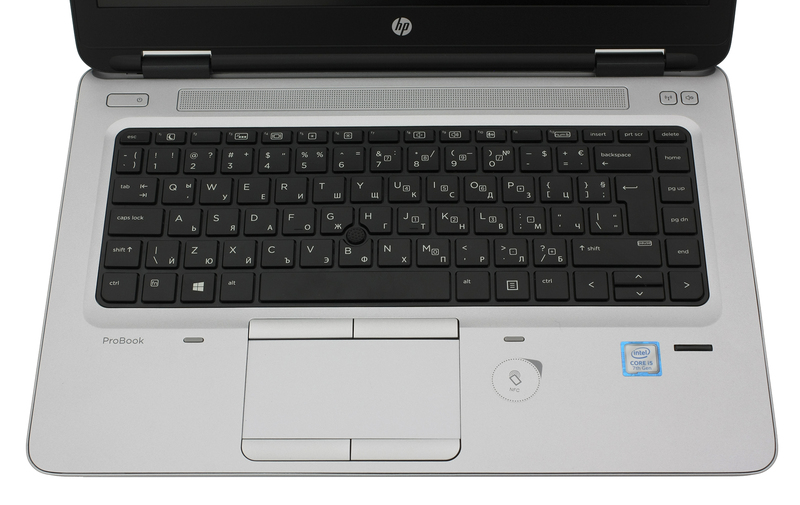 Looking at the new HP ProBook 640 G3 reminds us of the good old ProBook 440 G3 that we reviewed a while back which is probably a good thing until you look at the price tag. The pricier ProBook 640 G3 offers little improvement and a tad more features than its more affordable alternative but most of you wouldn’t really notice the difference. That’s why we would like to help you out with your purchase and see if the notebook is worth your hard-earned money. The ProBook 640 G3 aims at the more conventional business user looking for a reliable solution without the needless distractions. It offers the standard hardware like Intel Core i5-7200U CPU, integrated Intel HD Graphics 620 GPU, 8GB of DDR4-2400 RAM, 256GB M.2 PCIe NVMe SSD and a 14-inch Full HD TN panel. Also, the notebook doesn’t surprise with an unusual design or portable dimensions. 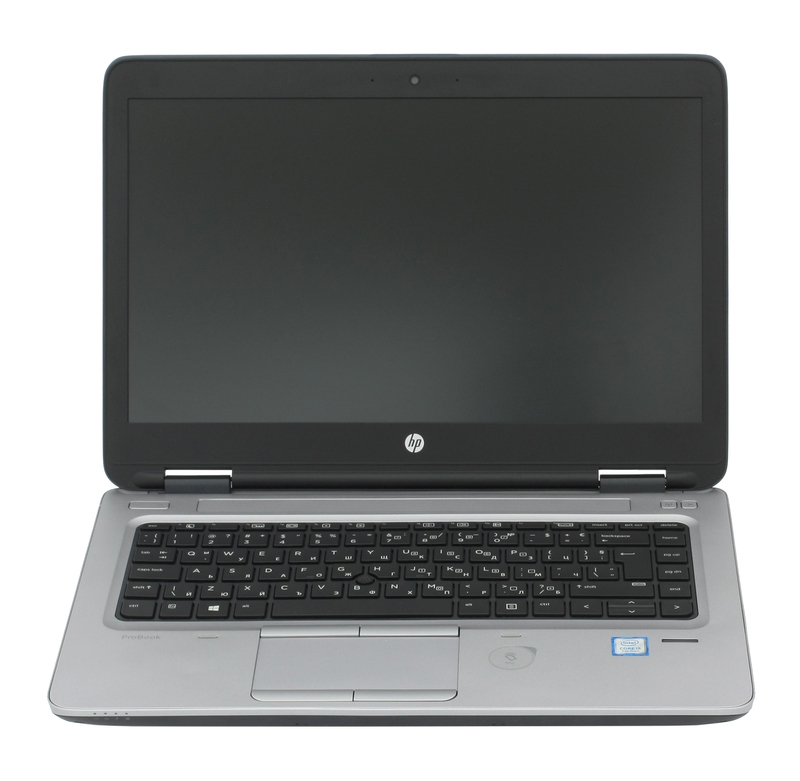 It looks clunky on the outside but provides a good working experience on the go. Of course, for the asking price, you’d really want to consider alternatives such as the Lenovo ThinkPad E470 or our all-time favorite Acer TravelMate X349-M. But if you are not strictly looking for an entirely business-oriented machine, the ASUS ZenBook UX410UQ is also in the same ballpark. 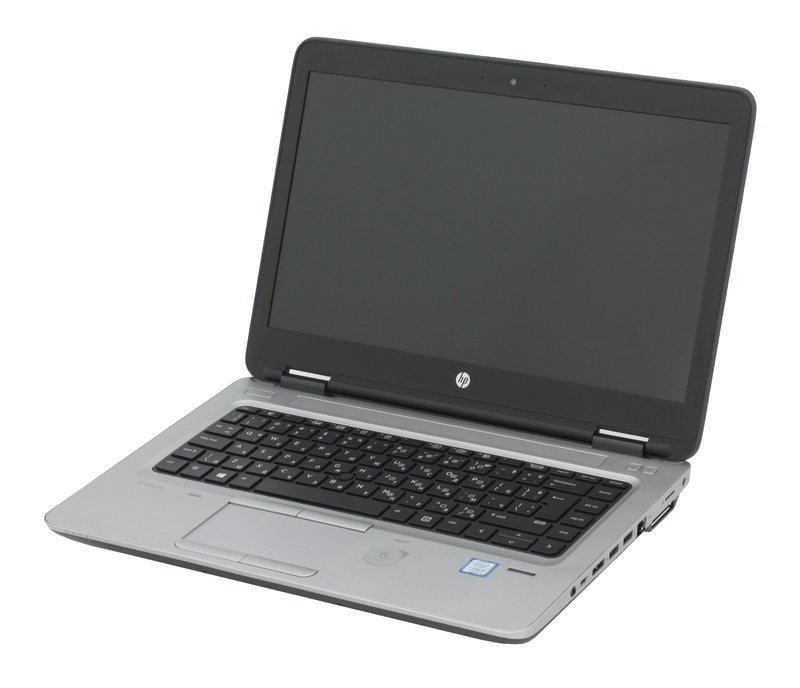 The box containing the HP ProBook 640 G3 comes with the usual user manuals, DVD with drivers, the AC adapter and power cord. Subjectively, the ProBook 640 G3’s design won’t appeal to everyone unless you are specifically looking for an upgrade from a previous ProBook. It’s also pretty hefty compared to other alternatives on the market tipping the scale at 1.95 kg and measuring at 27 mm thickness. That’s a whole lot for a 14-incher. However, the laptop compensates with a sturdy build that should last for years to come. 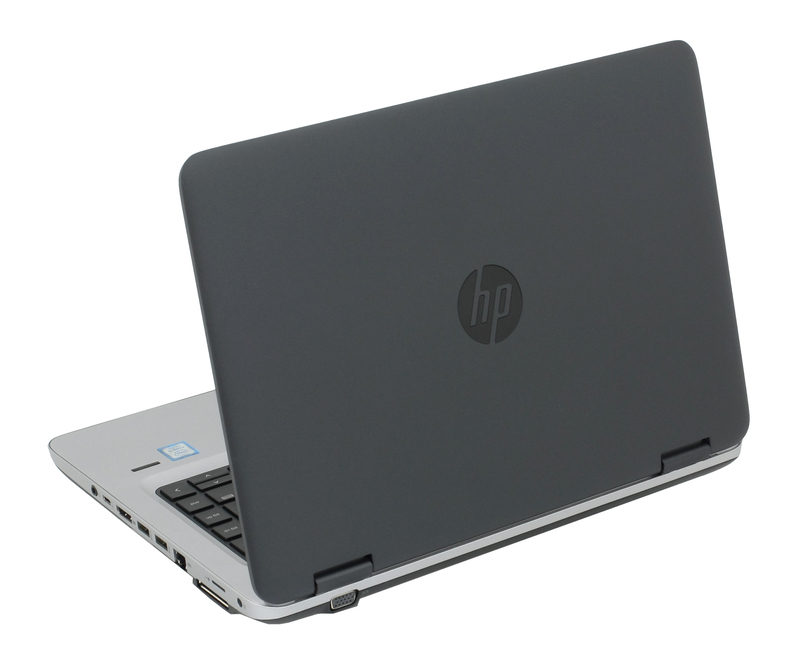 The lid retains the slightly rubberized finish for extra grip and HP’s glossy logo in the middle. The material doesn’t feel strong enough to withstand big pressure and it causes some ripples to appear on the LCD panel but it did pretty well on our twisting attempts due to the wide and stable hinges. 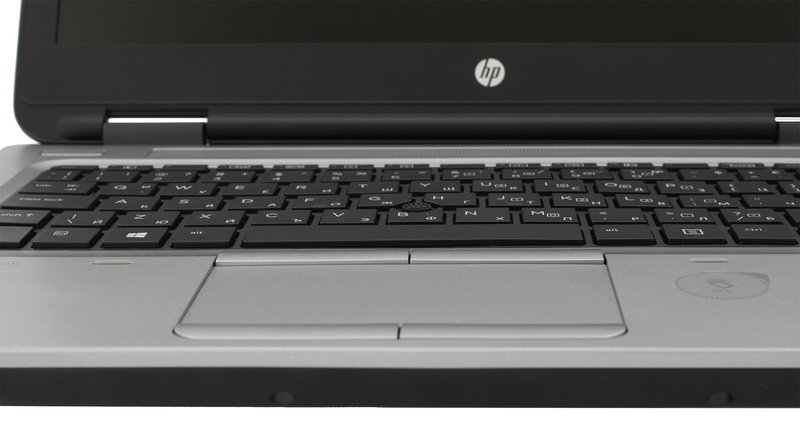 Speaking of which, they provide smooth, stealth and linear travel and make opening the laptop with one hand possible. We definitely liked them. And as for the bottom, it’s made of the usual hard, slightly roughened, plastic and one big vent opening for better airflow. The sides disappointed us to some extent. All of the I/O is stuck on the right side so imagine if you use them all when working on a desk – all the cables will be sticking out on the right side. Of course, this won’t be a problem for some users but we feel it’s important to mention this. On the left, however, you will find only the smart card reader, the optical drive and the main exhaust vent. 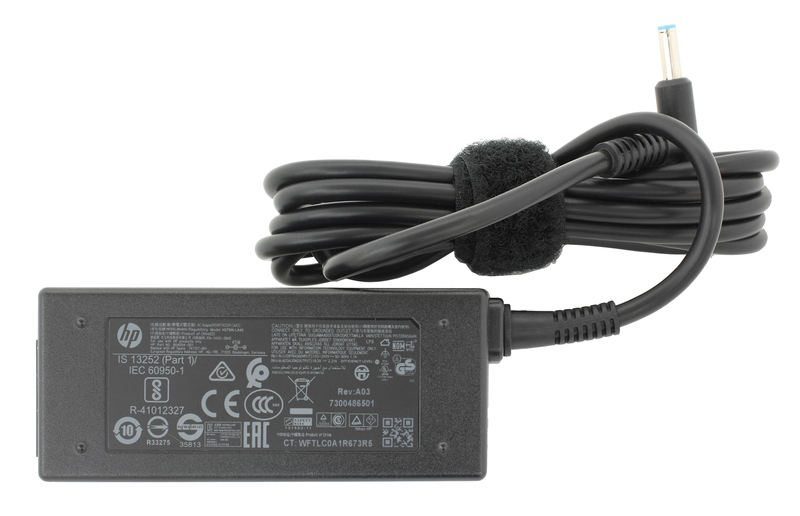 There’s also a VGA connector located on the back side, if you ever find yourself needing those. 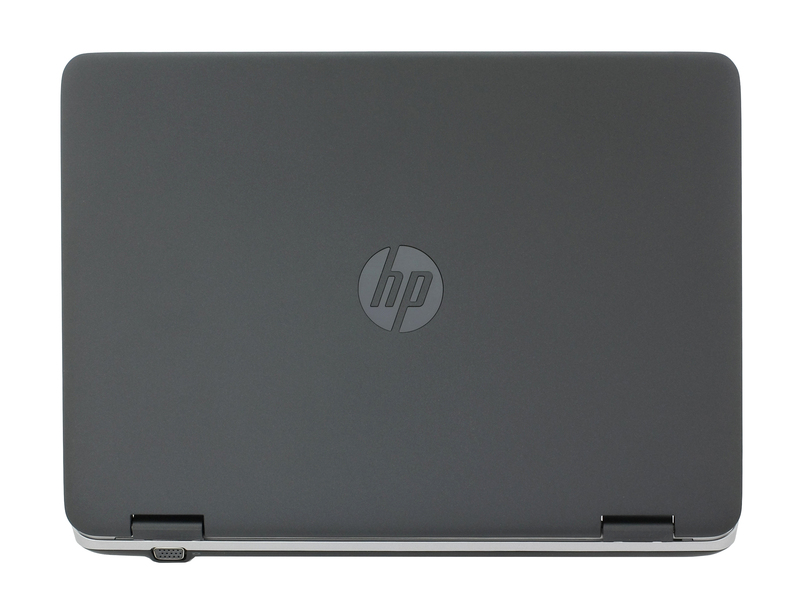 The right, as we already mentioned, is overcrowded with all the ports you’d normally use – connector for the docking station, SIM card tray for LTE connectivity, LAN, two USB 3.0, one USB-C 3.1 (Gen 1), 3.5 mm audio jack and instead of an HDMI, HP has decided to include a DisplayPort. That’s probably a good thing but we would have really appreciated an HDMI output instead of VGA. 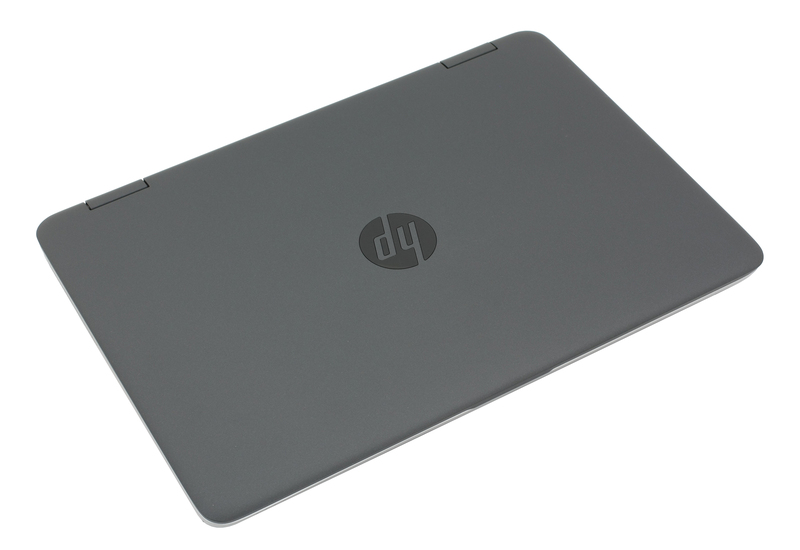 We are puzzled, however, by the fact that the interior on the much cheaper HP ProBook 440 G3 had a brushed aluminum surface while the one presented here imitates anodized aluminum but it’s still plastic. Fortunately, this doesn’t take away the sturdiness and we are quite satisfied by the rigidness of the palm rest area and the keyboard tray. There are just small visible deformations under great pressure. You will also notice the NFC sticker indicating that there’s an NFC chip integrated under the palm rest area, which is a neat feature if your smartphone supports the tech. 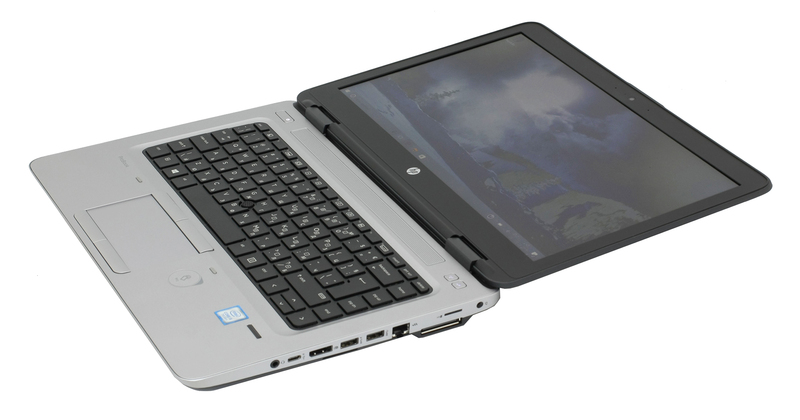 In any case, we found the keyboard and the touchpad to be extremely comfortable. The keys provide a shorter than we would like travel but compensate with excellent tactile and clicky feedback. The backlight is discreet and usable while the trackstick is well-positioned. Moreover, the touchpad along with both sets of mouse buttons, feel great – satisfying light clicks and the trackpad area is responsive, accurate with fairly good gliding surface. 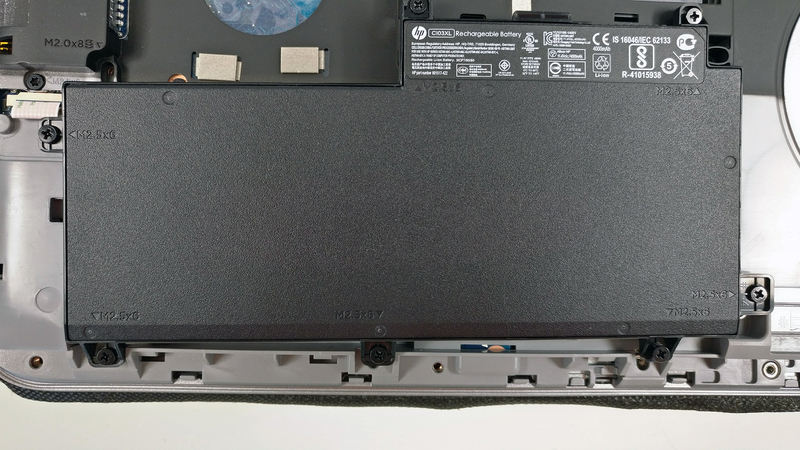 The only thing that we miss is probably the middle button that we usually find on Lenovo’s ThinkPad laptops. It’s really useful for scrolling when using the trackstick. 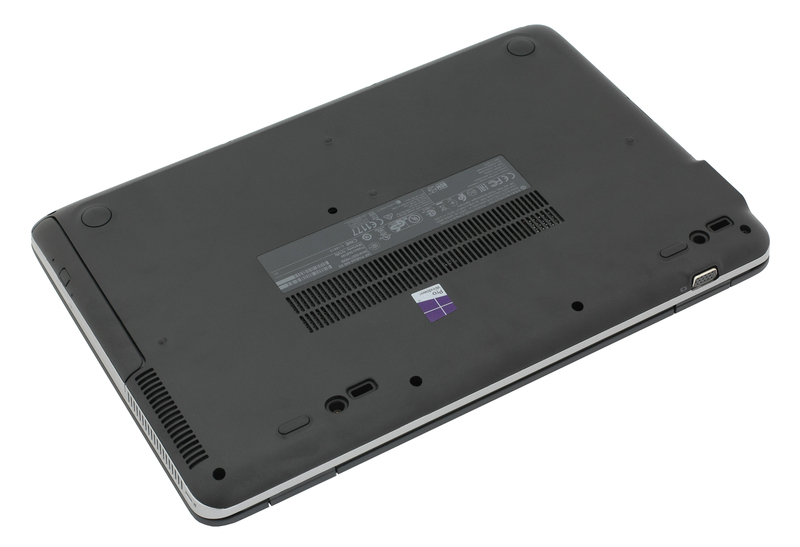 All in all, the ProBook 640 G3 offers good build quality, sturdy construction and good hinge design with the only small drawback being the slightly flexible lid in the center. We also think that the device is pretty hefty and clunky for a laptop with a price tag around $1 000. What will attract the general business user, however, are the excellent input devices. Quite surprisingly, the laptop doesn’t have dedicated service covers but it’s quite easy to disassemble the machine, nonetheless. You just have to remove all the screws around the bottom and then gently pry it up. 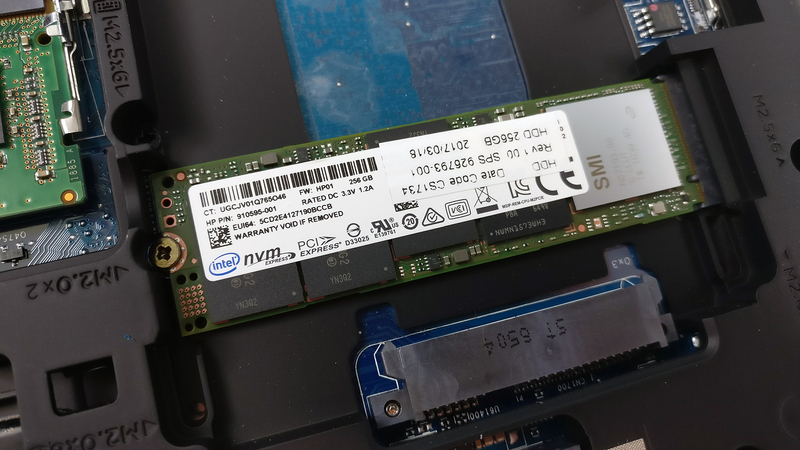 Although the laptop provides a standard 2.5-inch HDD/SSD bay along with an M.2 PCIe NVMe SSD slot, the latter obstructs the former and the other way around. We are always frustrated to see both slots included in a notebook where only one can be used at a time. Our unit arrived with Intel PCIe NVMe SSD with 256GB capacity. 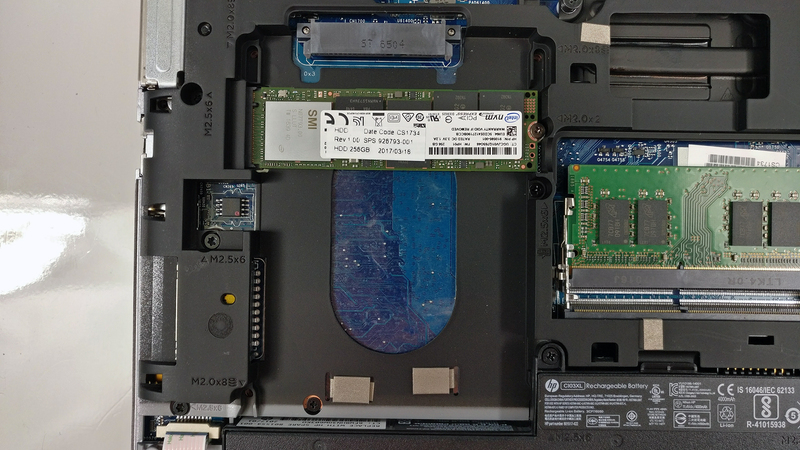 However, if you want to use your SSD along with a hard drive, you can always swap the optical drive for a caddy and insert a 2.5-inch HDD in there. 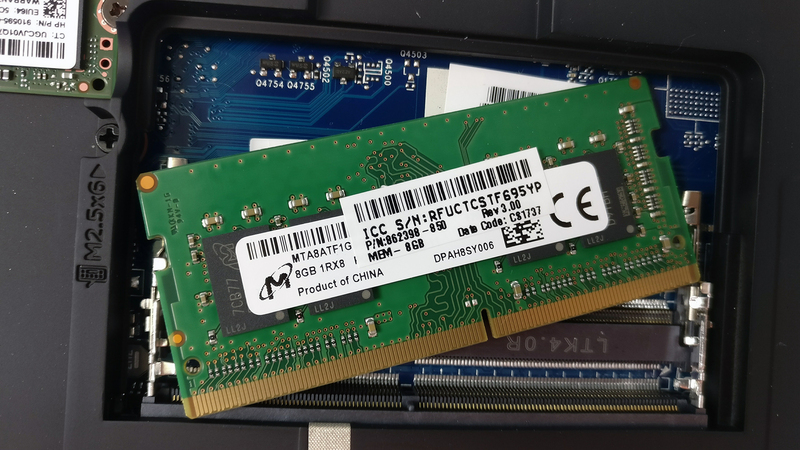 Of course, the RAM chip slots are two and one of them is taken by a Micron 8GB DDR4-2400 stick but if needed, you can go up to 32GB (2x 16GB) DDR4-2400. 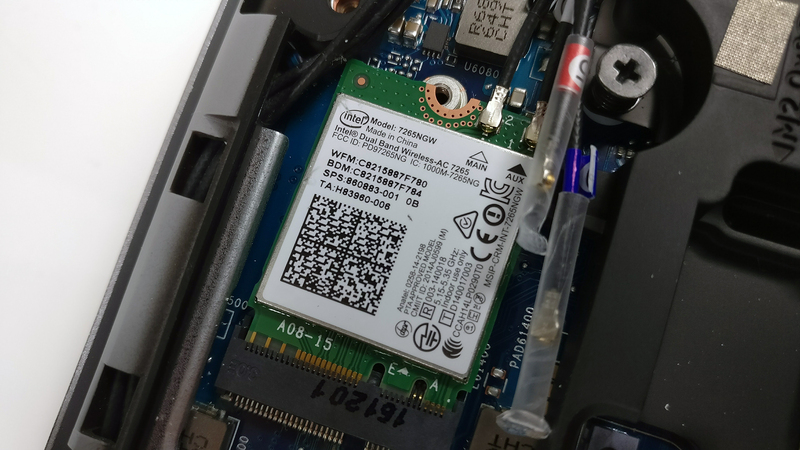 The Wi-Fi adapter is placed right above the M.2 SSD and it’s Intel 7265NGW. 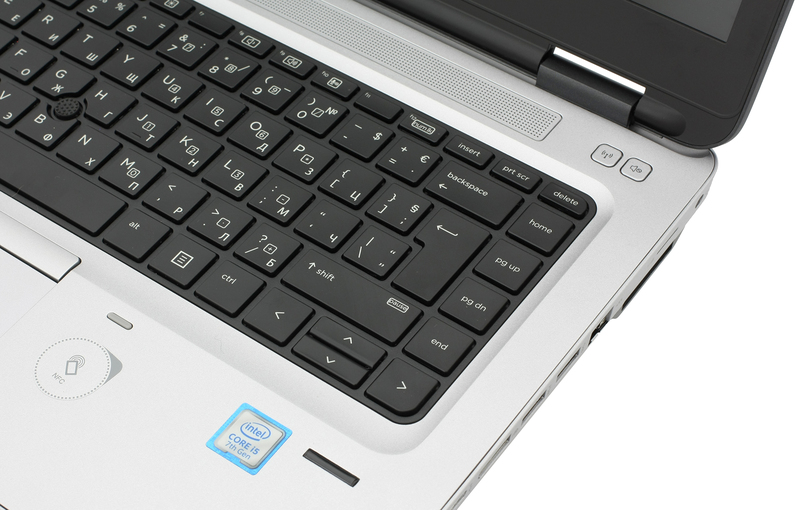 The battery unit is under the wrist rest area and it’s rated at 46W. The cooling system is rather simple and consists of just one cooling fan connected to the heatsink with a short heat pipe. The display uses a CHI MEI CMN14C0 TN panel with Full HD (1920×1080) resolution inside a 14-inch diagonal. The pixel density is 157 ppi while the pixel pitch is 0.16 x 0.16 mm. The screen can be considered as “Retina” when viewed from a distance equal or greater than 55 cm. Viewing angles are poor, as expected, due to the TN display. We were able to record a maximum brightness of 332 cd/m2 in the center and 323 cd/m2 as average across the surface of the display with a maximum of 14% deviation. 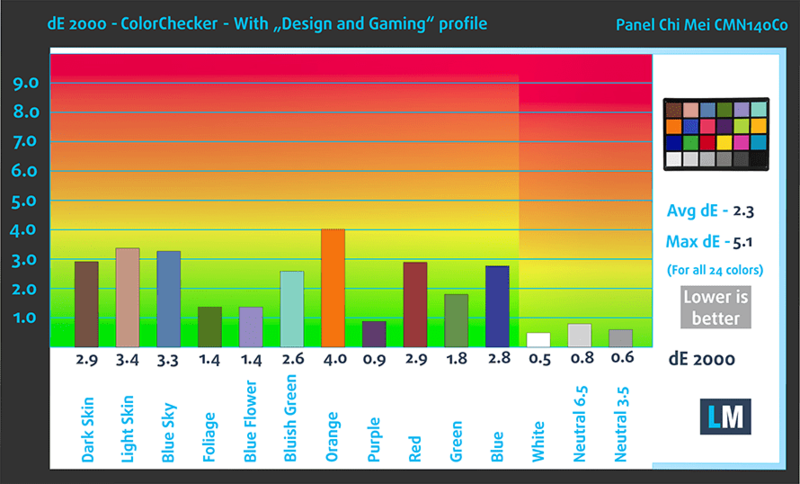 That’s a pretty strong result for a TN panel – usually IPS screens reach such brightness levels. The color temperature at maximum brightness is pretty close to the optimal – 6460K but as we go along the grayscale, the average color temperature is 11600K – extremely cold/blue-ish color reproduction is expected. Our custom profiles take care of this issue. You can see how these values change at 140 cd/m2 (74% brightness). 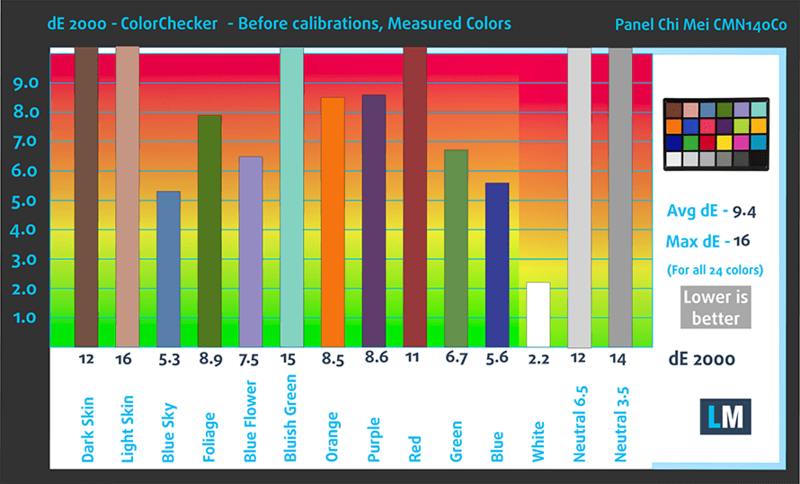 The maximum color deviation (dE2000) at 74% brightness compared to the center of the screen is 3.3, which is rather fine as values above 4.0 are unwanted. The contrast ratio is extremely low – 340:1. Interestingly, the display covers 80% of the sRGB color gammut and suggest of higher than usual quality of the TN panel. We recorded Fall Time + Rise Time = 17 ms. Unfortunately, the display uses aggressive (low-frequency – 200 Hz) PWM for regulating brightness so we strongly recommend using the notebook at 100% brightness because PWM isn’t present at maximum luminance or just use our Health-Guard profile that eliminates screen flickering. We are mostly disappointed by the display because at this price point, we were expecting a budget IPS panel at the very least. 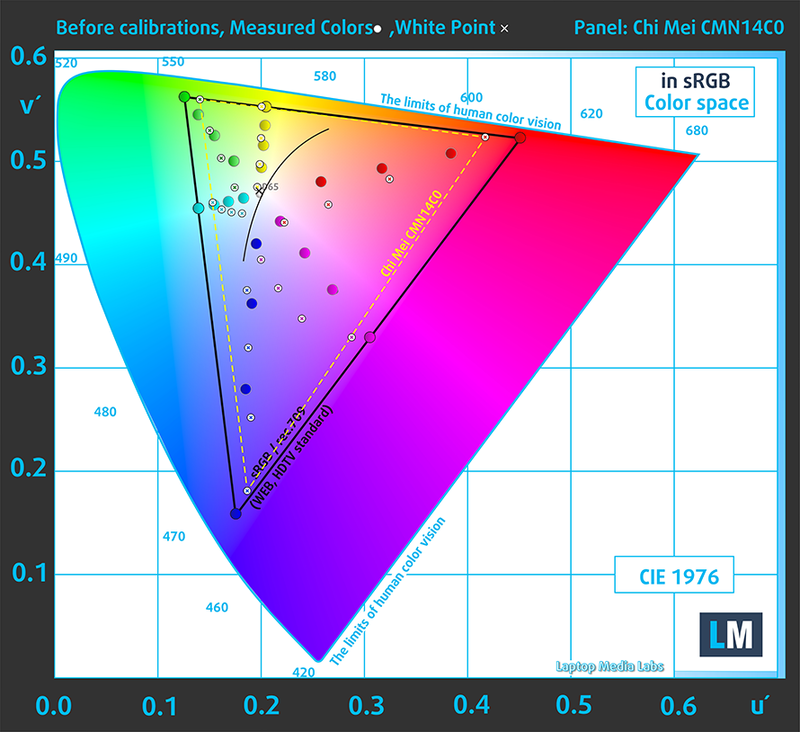 However, we are presented with a panel that’s better than most TN displays out there with wide sRGB coverage and high maximum brightness but the extremely low contrast ratio, limited viewing angles and aggressive PWM bring down the score significantly. And when you add the extremely inaccurate color reproduction and white balance, the display becomes less attractive. Fortunately, our Health-Guard profile will take care of the PWM while the Design and Gaming profile will fix the color inaccuracies, gamma and white point. In the low, mid and high frequencies, the loudspeakers provide fairly clear sound but the maximum allowed volume is rather low. We used the pre-installed Windows 10 Pro for the writing of this review but if you wish to perform a clean install of the OS without the bloatware, we suggest downloading all of the latest drivers from HP’s official support page. 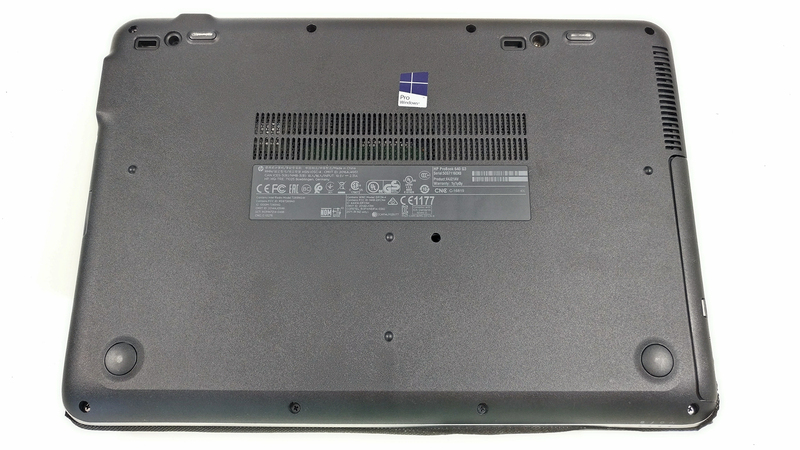 The upside of using a TN panel for a business notebook is the energy saving. TN panels tend to draw considerably less power than their IPS counterparts and thus resulting in better battery runtimes. The Probook 640 G3’s score in the web browsing and the video playback tests put it on the top of our battery rankings with one of the best scores in the 14-inch class. Some users will definitely appreciate the extended battery life instead of a high-quality IPS panel. Interestingly enough, though, the battery isn’t as big as we thought it is. The unit is rated at just 46Wh but proves to be enough to supply the system with enough power to get you through the day with a single charge and that’s a lot for a laptop. Oustanding battery runtime – 764 minutes (12 hours and 44 minutes). Unexpectedly, the video playback runtime is similar – 753 minutes (12 hours and 33 minutes). Of course, the laptop isn’t made for gaming, especially away from the power source but it’s good to know that it can handle heavy workload for more than five hours – 323 minutes (5 hours and 23 minutes). Fritz is a chess benchmark that tests the computing capabilities of the CPU with various chess moves. The Intel Core i5-7200U scored 6.353 million moves per second. In comparison, one of the most powerful chess computers, Deep(er) Blue, was able to squeeze out 200 million moves per second. In 1997 Deep(er) Blue even beat the famous Garry Kasparov with 3.5 to 2.5. 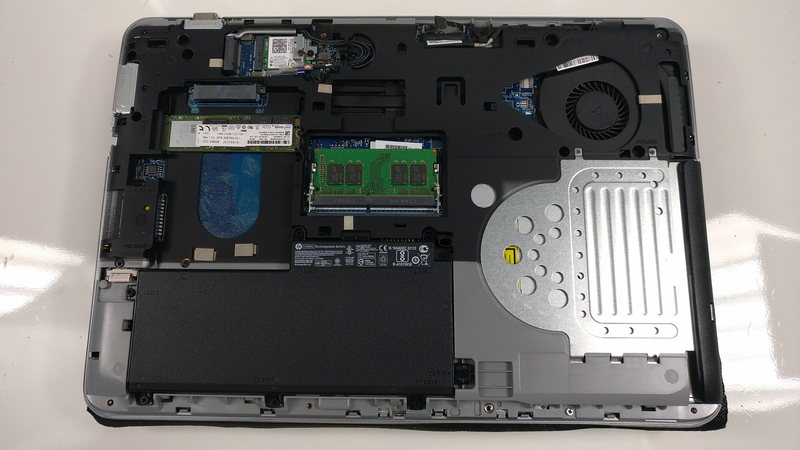 Although the laptop isn’t made for extended and extreme workloads, we ran the usual stress tests on the CPU and iGPU to see how the cooling system performs and is it reliable enough to withstand long hours of use over time. As usual, we start off with 100% CPU load for an hour. The Core i5-7200U reached its maximum operating frequency for two active cores and stayed there. Temperatures were in the safe zone while the cooling fan stayed exceptionally silent during the whole hour. After switching on the GPU stress test, the CPU’s frequency dropped to around 2.2 GHz so it can give enough headroom for the iGPU (Intel HD Graphics 620) to perform. The system didn’t ramp up the cooling fan and it remained silent until the end of the test. As expected, temperatures on the surface were also low since the Core i5-7200U isn’t such a demanding CPU. What really surprised us is the silent operation of the cooling system even under heavy workload. During normal use, though, the fan was completely silent. 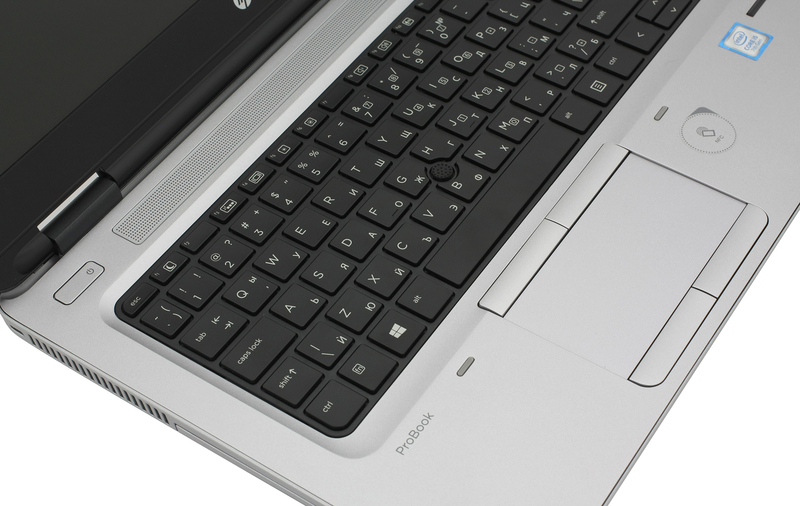 To put thing simple and clear, the ProBook 640 G3 is an excellent business-oriented machine rightfully defending the name of the ProBook lineup. However, it does that at a fairly high price. Yet again, it focuses on what’s important and what the general business user would want. The build quality is really good, despite using only plastic, and the input devices are excellent. Portability is a bit of a miss, though, as there are plenty of other more portable 14-inch solutions out there at the same price. The I/O is another mixed bag – plenty of connectors but they are all stuck on the right so all of the cables might get in the way sometimes. The inclusion of 4G LTE connectivity is another great plus to consider. As far as battery life goes, thanks to the energy-efficient TN display and CPU, the laptop has killer battery life – one of the best in class. And speaking of screen, the latter is a big disappointment considering the price tag of this thing. The maximum brightness is pretty high, especially for a TN panel, the sRGB coverage is okay but we cannot overlook the aggressive PWM, extremely bad color accuracy, surprisingly bad color temperature and low contrast ratio. Nevertheless, the PWM, color accuracy and white point can be fixed using our profiles but you can never escape the poor contrast and bad viewing angles. I hope you review the 8th gen intel CPU & IPS FHD display model (like 2TA31UT#ABA). 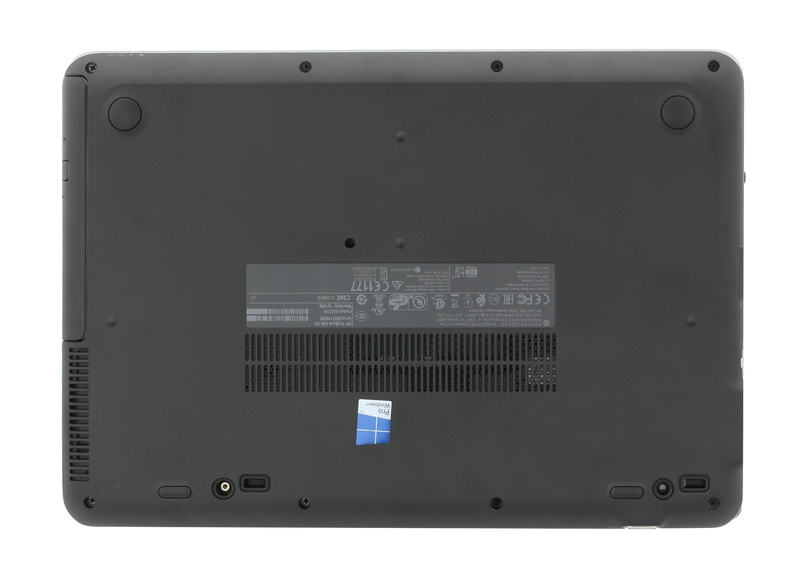 Because it will give greater insight on performance and IPS FHD display options for people looking for latest spec on Probook 400 G5 series.